Lucky for you — I never give up! And as a result, I’ve compiled once again, a killer weekend Hit List, just for you. So get out, enjoy some art, smell some beautiful flowers and stand for a change! Alright — of course I had to mention the Cherry Blossom Festival, I mean come on it’s kind of amazing. For those of you who aren’t already aware of the rich history of this celebration this springtime event honors Japan’s gift of 3000 cherry blossom trees to our awesome little District way back in 1912. If you’re looking for the best time to attend this world renowned event then be aware that Peak Bloom is predicted to happen pretty much this weekend (Mar 27th-Mar 31st). in fact, that is exactly why the Opening Ceremony is being held this Sunday. But, if you just so happen to already be preoccupied with other plans, you’ll be happy to know that there are several events going on, all of which can be reviewed on the website’s schedule. Enjoy! So, to be honest with you this weekend is a great weekend for those of you who have a little budding activist living inside yourselves. The World Wildlife Fund is hosting their annual awareness campaign honoring Mother Earth this weekend. In case you weren’t aware, this comes at such a critical time in the wake of the United States officially withdrawing from the Paris Agreement. This agreement was the world’s first truly global plan that was set to really make a difference in address climate change. So, if you’re interested then just know that you are not alone because according to the WWF over 2,600 across our nation are stepping up this year to say that they are still committed to our climate goals. 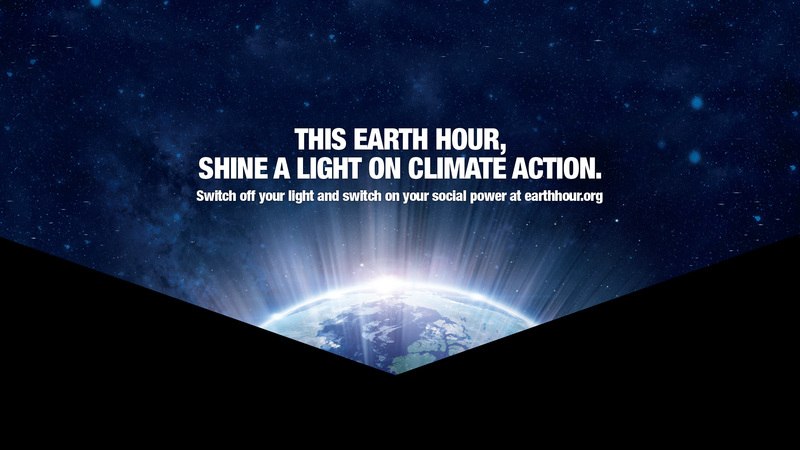 So join in Earth hour at 8:30 p.m. this Saturday and make a difference. This is an event that hits pretty close to home, especially given the recent happenings in Maryland. which resulted in the death of the beautiful, young Jaelynn Willey — a 16 year-old girl who was gunned down by an ex boyfriend this past Tuesday. If you’re looking to make a stance on gun reform, then join in with numerous children and families across the country marching to make a difference and help urge lawmakers to end gun violence and mass shooting in our school systems. For those looking to get a better idea on how to schedule and strategize their day, a nifty little guide is available. HeadCount will also be in attendance to register voters at several events across the country — all of which are free. All of you art lovers out there knew I wasn’t going to forget you! If you’re a lover of all-things Cezanne, such as myself, then you’re going to go absolutely gaga over this exhibit located in the West Building on the main floor. This awesome collection comes courtesy curator John Elderfield, chief curator emeritus of painting and sculpture at the Museum of Modern Art in New York, and is of Mr. and Mrs. Paul Mellon’s collection, honoring the 50th anniversary of the National Gallery of Art. The exhibit features 60 examples and collections from all around the world dedicated to the famous post-impressionist’s works. Even more interesting is the amount of detail that the exhibition goes into, “exploring the pictorial and thematic characteristics” as well as the chronological development of the artist’s style. Even better — Apparently several of these paintings are absolutely exclusive to the National Gallery of Art and have never been shown in the US before!